A personal note to express my most sincere appreciation for the legal services you have provided to my husband and myself during the years 2015 and thus far in 2016. I came to you literally in personal shambles as a result of my husband’s illness during the summer of 2015. You and your staff have righted me with your expert legal advice, estate planning, financial advice, and nursing care advice. Even the “don’t worry” advice from you and Lidia still rings in my ears! I know that when my concerns are in the hands of Keystone Elder Law, I do not need to worry for I am confident the problems will be resolved in a timely manner. Thank you again from the bottom of my heart to you and to each individual staff member who have provided assistance and kindness during my difficult time. 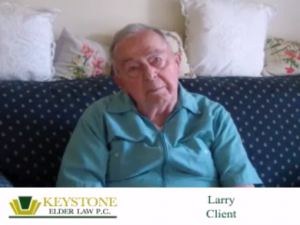 “I contacted Keystone Elder Law shortly after it became necessary for my sons and I to place my husband in a care facility because of his advanced dementia. The Keystone staff helped me in many ways. They made sure that a good care plan was in place and followed properly for my husband. 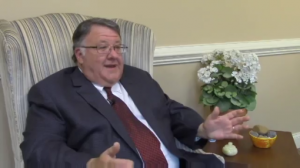 They minimized the impact of gifts we had made to our sons in the past, which made it possible for my husband to receive Medical Assistance to offset the cost of his care, which otherwise would have been at least $100,000 per year. Keystone helped me sell our family home and identify a place where I now live independently and comfortably. They helped us with all the government paperwork and the rearrangement of our financial assets. 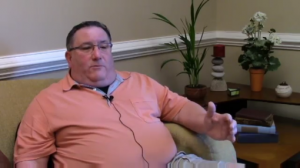 Dave, you spent so much time with me and helped me get through that day and mull over my future without my loved one. Needless to say, the steps you had guided me through saved me from a financial mess and I am deeply thankful for that. More than that though, I appreciate the more personal touch you provided with a patient understanding of the emotions I was and am experiencing. The staff at Keystone Elder Law and the help and patience they offered is so appreciated. From Marcia’s calming greeting, to repeating again what was needed from me to get through the spend-down, to the long conversation that Karen endured (without noticeable boredom) from me relating the most personal thoughts of my love for and marriage to my wife. God bless you! 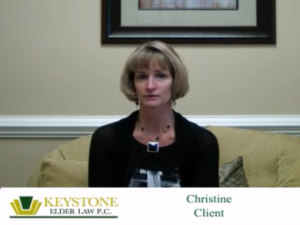 “I recommend Keystone Elder Law to lots of people I talk to because they have been absolutely amazing in helping me with my parents on various levels. They made me feel worthwhile, that what I was experiencing with my parents was important. The people at Keystone were there with me on my journey to do what was in the best interest of my parents. Keystone always made time for me. 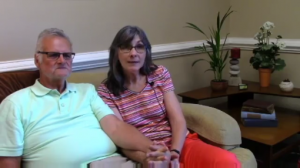 “My husband and I were referred to Keystone by another provider of services for senior citizens who told us Keystone had a good reputation. We needed help in relation to my mother, whose dementia condition caused us to move her into our home because we worried about her living independently. Over time, her living with us became a very difficult and unmanageable situation. Because my mother is otherwise healthy and active, we didn’t want to put her in a nursing home, and we were concerned about being able to afford her care. But my husband and I knew that we at least needed to be able to take a break and go on a vacation without her. 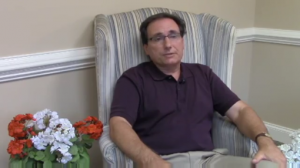 Keystone arranged for us to get a “respite care” placement at a local secured facility for dementia patients. 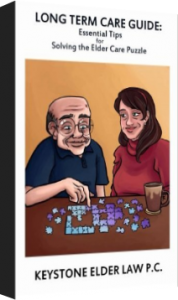 When we returned from our two week vacation, Keystone encouraged us to leave my mother for a little more time to see if she would adjust, since they convinced us that early dementia placements often have better success. Sure enough, my mother adjusted well and remains there to this day, really quite comfortable and accepting of her new living environment. 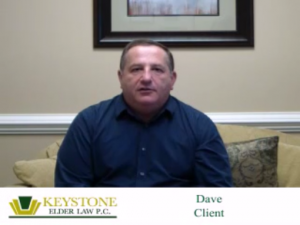 “The death of a loved one is a huge challenge, and the professionals at Keystone Elder Law were able to clearly define what was needed and then successfully guide us to achieve our goals. During a time when the family needed to be focused on end of life issues, we also needed to know that the facility and financial expenditures could be met without over-burdening our mother-in-law. Keystone Elder Law provided our family with all the assurances we needed to remain focused on our father-in-law and not the finances.